I still like Halo. 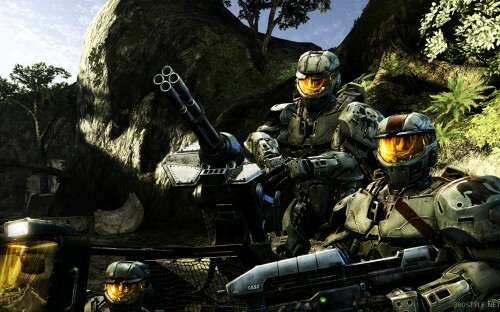 Can’t wait for ODST. Well, okay, I can. From an Xbox 360 Fanboy: Halo is mediocre, at best. Same here. I love my 360, but Halo is boring. FPS are only fun on PCs. Halo is overrated. It’s very fun playing the story game the first time around though. The online multiplayer game is only fun for a short time. Personally I’d rather play Rainbow Six Vegas or even Call Of Duty: Modern Warfare. Damn broken xbox. I just can’t get into those games. I can’t explain why, either. I think it has to do with the stories in games like Halo and Gears of War. Its a cheesy sci-fi movie FPS. I like that. All the way back to Doom I liked that (except there wasn’t much story in Doom, IIRC). Anyway, I still like Halo.